Having a strong and sturdy garage door adds to the peace of mind and also enhances the aesthetic appeal of your house. If you need help in choosing and installing the right garage door that keeps your valuable assets safe and matches your personal style, then Eagle Garage Door Service is the place to call. 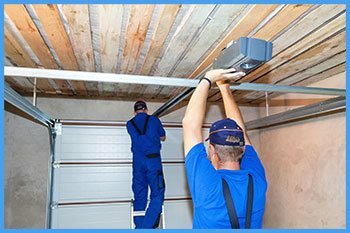 Our technicians have installed countless garage doors all over Paterson, NJ and have been able to sufficiently meet all the special needs of our clients. Apart from installation services, we offer follow-up checks and maintenance services to ensure the longevity of your garage doors. We have a wide range of garage doors to choose from, varying from carriage house door types to roller garage doors. 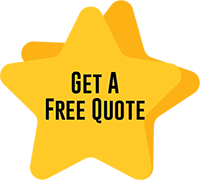 We personally ensure that your doors are built from material that is of excellent quality and recommended by industry experts. Our doors are always worth the money and last a long period of time. Step 1: A new garage door installation begins by understanding your preferences, which include the features you wish to have, the look and appearance of the door, and the budget you are willing to spare. Step 2: Our team visits your location and assess the dynamics of the door to be fitted and evaluate the final price based on the materials that will be required. Step 3: Our craftsmen then proceed to either make your door from scratch or procure a premade door, based on your requirement. Step 4: After finishing your new door, we install it at your premises and conduct several safety and quality checks to ensure that everything is in order. Our services go beyond mere installation of your door. 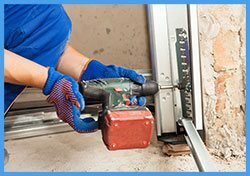 We are there even after your brand new garage door is ready for operation and provide period checks and repairs to ensure that they stay in top shape.